Digital signage is an incredibly effective marketing solution—as long as it’s used well. Here, we look at some of the best tips, which will help you ensure your digital marketing efforts don’t go unnoticed. For years, companies spent thousands of dollars of signage—and thousands of hours making sure those signs would be absolutely perfect when they were printed. But mistakes, errors and the updating of signage remained costly and expensive. That’s why digital marketing was such a breath of fresh air. Long gone are the days where business owners spent thousands of dollars on signage and then had to keep that signage for years in order to justify the expense. Digital marketing has become one of the fastest and most interactive ways of marketing to your audience. Digital signage offers a marketing solution that is efficient and effective, as it’s easy to implement and manage and can be changed quickly and easily. 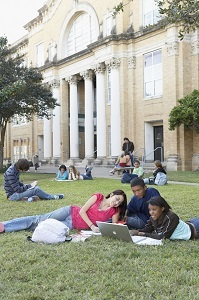 Content can also be delivered using cloud technologies so signage can be updated from anywhere. 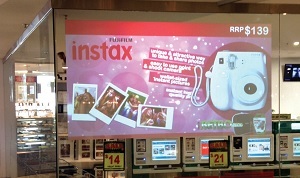 One of the biggest Australian retailers, Harvey Norman, has implemented a new technique for cross-selling throughout more than 100 franchise locations: digital signage. By simply advertising specific products in various areas of the store, the retailer is able to extend buyers’ in-store experiences, ushering them to other departments and encouraging cross-aisle travel. 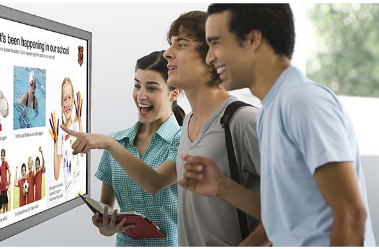 In our last post, two heavy-hitting benefits of digital signage were discussed. Not only does implementing the technologically advanced marketing method help harmonise your brand, it also helps it stand out from the competition. But it doesn’t end there. 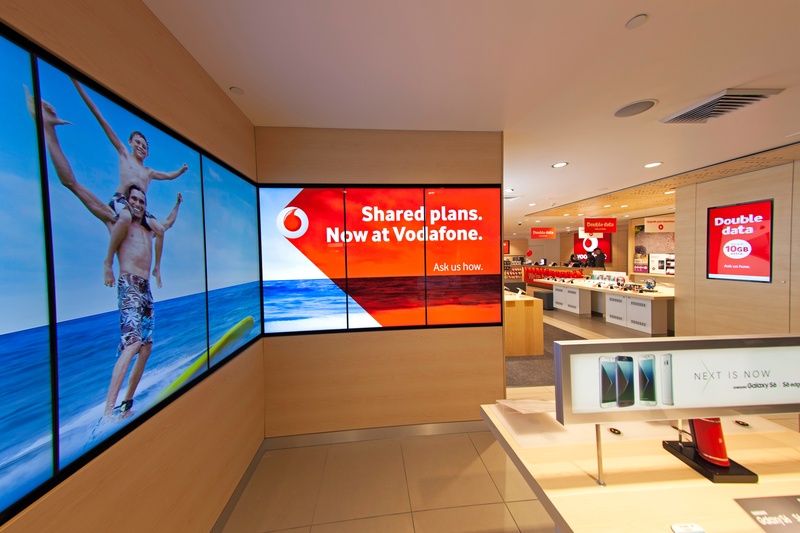 There are plenty more ways digital signage can improve your efforts, in and out of your store. 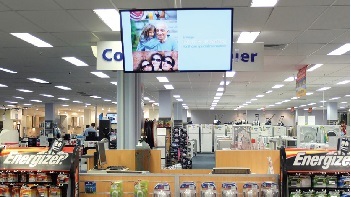 Read on for more ways digital signage can help you connect with tech-savvy consumers! You’ve got billboards, social media channels and maybe even a 30-second spot on local television channels. Advertising and marketing are working hand in hand to bring your brand the attention and buyers it deserves. But have you considered that natural next step? Digital signage offers your company a huge opportunity for growth and increased revenues and works seamlessly with print and online efforts. Read on to learn the top two ways digital signage helps boost your marketing efforts on a store-by-store or screen-by-screen basis. 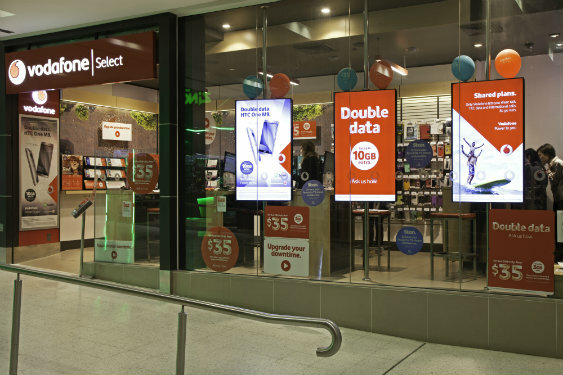 Previously, we have discussed the reasons why digital signage is beneficial to retail shops and brands. Advantages include building a brand across several outlets and channels, standing out from the crowd with dynamic and dramatic content, real-time marketing and better educating consumers. 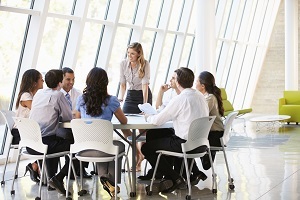 Your company is good at what it does. Whether it is manufacturing, software solutions or financial services, your organisation has a steady grasp on turning a profit. However, there may be one area of business your company has not yet successfully mastered: communication. 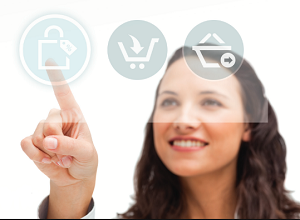 Digital signage may be the latest and greatest sales tool, but it's not quite a plug-and-play solution. If you want to make the most of it, you'll need to provide plenty of quality content to entice potential buyers! Dynamic, screen-based media are far different from print, and you'll need to tailor your ads accordingly.